Surveying your travelers should be the first step toward building a more perfect travel policy, whether you’re drafting your company’s first one, or refreshing current guidelines. Using surveys formalizes and automates the feedback collection process, a simple way to involve traveler voices early, and frequently, in the process. As the person in charge of travel, one of your goals is to improve traveler satisfaction, not just to manage travel and expense (T&E) spend. How can you measure traveler satisfaction from behind your desk? Soliciting feedback isn’t the same as crunching numbers on a spreadsheet — it involves going to your travelers and engaging them in the conversation. Surveying your employees is one of the quickest, most organized, and most efficient way to collect the kind of raw, honest feedback necessary to making program improvements. Their hands-on experience using your travel policy quickly demonstrates whether the policies that made sense on paper actually work in the field. Plus, you have the option for anonymous feedback for a truly unfiltered view of your travel policy’s successes and pitfalls. Conducting a survey is particularly important for growing companies developing T&E policies. Smaller, newer companies don’t have the same entrenched infrastructure as larger corporations. Surveying employees at a growing company offers a unique opportunity out of the gate to build a policy that truly reflects what your travelers want. Each company is going to include different survey questions depending on their goals, but the four we’ve compiled here will set you in the right direction. 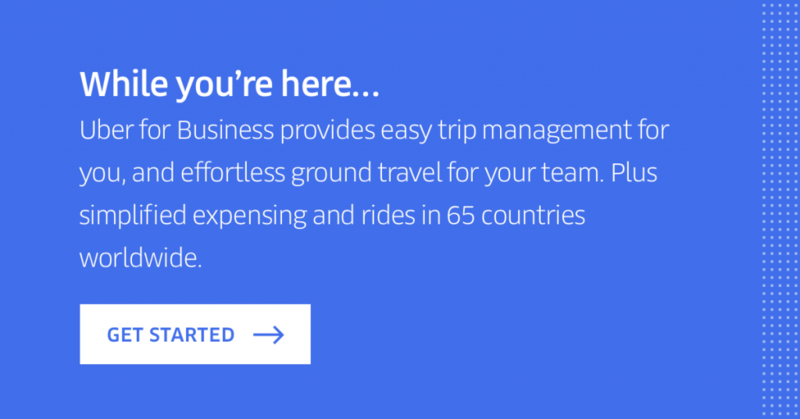 #1: How would you rate our travel and expense program? Are your travelers thoroughly satisfied, completely dissatisfied, or somewhere in the middle? This basic question may seem a bit too simple, but there’s a reason it’s the baseline of nearly every survey out there: it provides a benchmark for overall satisfaction which you can reference at a glance. This metric is easy to track, too: if the number rises the second time you survey for it, it’s a sign your travel program is working; if it slips, it’s time to take a deeper dive into what is and isn’t a good fit for your company. How to ask the question: Use a simple 1 to 10 scale, with 1 being the worst and 10 being the best. If the average comes in above 8 or so, you’ll know your travel program is on the right track. Don’t hesitate to ask often, too: collect feedback after each trip or simply on a monthly basis, depending on who’s traveling and how frequently they travel. Some survey tools will also allow you to add a “Why” if an answer falls below a certain threshold–an invaluable tool to collect more qualitative feedback. #2: How well do you know our company travel policy? Your travelers aren’t exposed to the ins and outs of the company travel policy like you are. Gauging just how much travelers know will go a long way as you raise awareness of the travel policy guidelines so crucial for managing T&E spend on the back end. After all, no traveler wants to find out after their trip that they overspent or they aren’t eligible for reimbursement. How to ask the question: Ask how much travelers know–or think they know. Use the survey to ask travelers to self-assess their knowledge level on a sliding scale, or select from a range of options, such as “I know little about the policy” or “I know the policy and rules very well.” If survey results uncover that most travelers are unfamiliar with program details, consider ways to make the guidelines more accessible, such as an easy-to-locate FAQ. #3: Which apps or services do you wish you could use for travel? As the app-driven wave of disruption extends to all aspects of the travel process, it’s no surprise your frequent travelers are looking to have the same choices on work trips as they do on their downtime, from alternative accommodation and transport offerings, to trip scheduling apps and more. Not leaning into these preferences if and when business options are available won’t stop usage–it could mean the out-of-policy usage and T&E friction just keeps growing. Better yet, the familiarity already exists, with no new platform to learn, and no new username and password to remember (or forget)! How to ask the question: Don’t just provide a drop-down of the most common apps. Leave space for travelers to write their own responses. You may discover some handy trending apps, or you may end up incorporating some old favorites into your travel policy. #4: If you could change one thing about the travel program, what would you change? Why? As you develop or tweak your travel policy, there may be elements that slipped by undetected. Surveying travelers is the perfect way to uncover any blind spots you may have to your own program. How to ask the question: Leave it open-ended, with an emphasis on “why.” The blank space allows travelers to freestyle their answers and cover any item they felt was not adequately covered by the survey. Encourage your travelers to write their response in the most effective way possible: in bullet points, short notes, or even a full paragraph. Additionally, assure survey respondents that their responses are anonymous, or provide an option for anonymous submissions, to encourage raw feedback. The best travel programs are the ones that minimize traveler stress and maximize end-user simplicity. Establishing a strong feedback loop with your travelers via regular surveys keeps you in touch with traveler needs, ensuring higher satisfaction rates, and in turn, can help reduce out-of-policy spending. A wide-ranging survey which covers satisfaction in broad strokes and provides you an opportunity to collect specific feedback provides an excellent knowledge base, and brings you a step closer to that perfect, traveler-first policy.